An interactive narrative game where patience unlocks different perspectives of a story about a man and an axolotl. 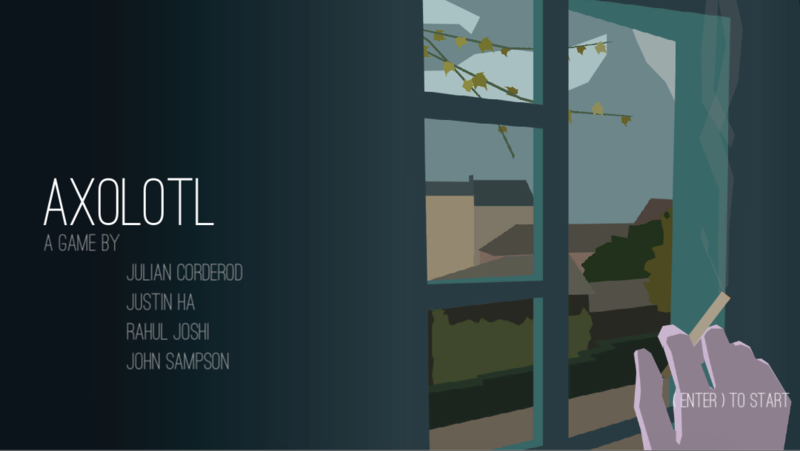 Axolotl explores the idea that player patience and reflection deserves a deeper story. As you play the game, be patient and discover differences to unlock new parts of the story. Inspired by the short story from Julio Cortázar with the same name.